The Mr. Men, Little Miss books by Roger Hargreaves were often favorite books of kids who grew up in the 1970s and 1980s and are now having children themselves. Luckily, the books are still in print for parents who want their children to read what they consider some of the best children's books available. The Mr. Men and Little Miss books all contain a central character entitled Mr. or Miss followed by a major trait of the character's personality. For example, Mr. Happy and Little Miss Chatterbox are two well-known characters in the series. The stories typically depict a short humorous lesson about feelings, emotions or integrity that relates back to the central character. Each character is drawn using simple lines and shapes, making them excellent picture books for young children. Central characters from one book often appear as minor characters in the plots of other books. Special editions of the Mr. Men and Little Miss books are also available. These books have premises that range from a few kids' Christmas books to special characters like unicorns and dragons. The Mr. Men, Little Miss books by Roger Hargreaves are available wherever books or sold or through online retailers. The Mr. Men Show is a program available on Cartoon Network, so check listings to watch at home. Roger Hargreaves first published the Mr. Men books in 1971, the first of which was Mr. Tickle. 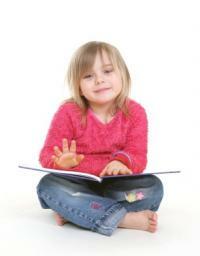 The story is that the idea for the books came when his son asked him what a tickle looks like. Hargreaves went on to pen over 40 Mr. Men books and over 40 Little Miss books during his life. After his death in 1988, his son Adam added several new characters to the collection, some of whom were created by his father before his death. Teachers and parents use Mr. Men and Little Miss books as a way to help children understand feelings in an amusing story. The popularity of these books makes it easy to include them in activities for a rainy day or in the classroom. The Mr. Men and Little Miss books have fans all over the world, many of whom have dedicated fan sites to the beloved books and characters. Other sites feature Mr. Men and Little Miss characters in games or as part of a learning activity. Kids enjoy Roger Hargreaves books. Egmont Mr. Men and Little Miss: The Egmont publishing company has printable activities, coloring sheets, online games and even ecards on the website featuring both classic Mr. Men characters and those from the television show. Mr. Men World: This unofficial fansite offers several online games featuring popular characters, like a Little Miss Magic game, Mr. Happy story, and make a Mr. Men character. DLTK's Mr. Men Books: This educational website features links to coloring pages, character themed crafts, printable chore charts, calendar pages and more. The Mr. Men Show: Find everything you wanted to learn about the television program based on The Mr. Men Show. Click on a character to find games, video clips and freebies. TeacherVision's Mr. Men and Little Miss Books: View the Mr. Men and Little Miss article without a subscription to the site. The three-page article features ideas for sequencing, cause and effects, vocabulary, and creative writing projects for the classroom. Teach a safety unit after reading Mr. 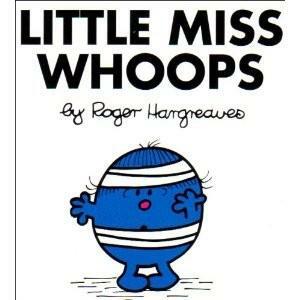 Clumsy, Mr. Bump or Little Miss Whoops. Go to the gym for some fun gymnastics during a physical education class after reading Little Miss Somersault. Plan a baking lesson after reading Mr. Greedy or Little Miss Greedy. Learn how to read a clock and about telling time after reading Little Miss Late. Hygiene and cleanliness are a good topic for discussion after reading Mr. Messy. The Mr. Men, Little Miss books by Roger Hargreaves are famous kids' books that are fun for both parents and children to read.